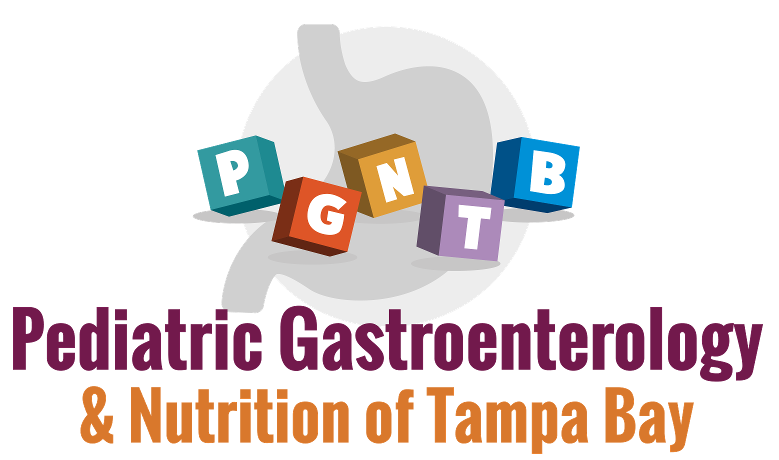 Pediatric Gastroenterology & Nutrition of Tampa Bay has been in business since 1984 and we are proud to be of service to the Tampa Bay area meeting your pediatric gastroenterology needs. We treat patients from birth to age 21 for a number of gastroenterology and nutritional needs. We treat patients with formula issues, abdominal pain, acid reflux disease, Crohn’s disease, liver disease, gastrointestinal bleeding, bowel issues amongst many more conditions. Currently, we have 8 offices in Tampa Bay area which include Tampa, Wesley Chapel, Brandon, Riverview/Big Bend, Lakeland, Odessa, St. Petersburg, and Sarasota/Lakewood Ranch, Florida. Our physicians are credentialed at St. Joseph's Hospital, Florida Hospital-Tampa, and Brandon Regional. We are excited to announce that we are moving towards having a patient portal with a projected date of December 2018. Along with that, we are investing in a new prior authorization system that will help streamline many prior authorizations for your prescribed medications. Our providers are credentialed at St. Joseph’s Children’s Hospital, Brandon Regional Hospital and Florida Hospital Fletcher. Call now for quality pediatric gastroenterology care for your child. & 1:00 p.m. – 4:30 p.m.